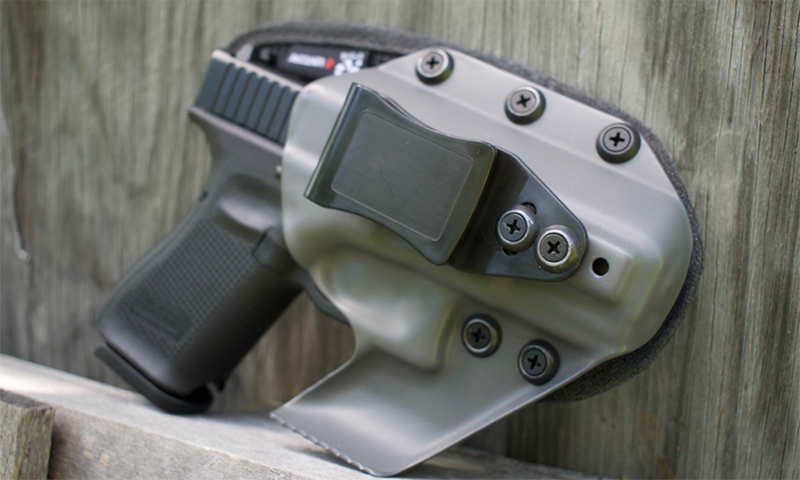 StealthGear USA first made waves in the holster world with its Ventcore style holsters. Since then the company has continued to innovate on that platform, offering multiple products to satisfy a plethora of consumers. Most recently StealthGear USA, better known as SGUSA, introduced a new appendix style holster called the Scorpion. While remaining loyal to SGUSA’s Ventcore and Kydex motif, the company took the design further with the addition of a claw. A notorious fan of AIWB holsters and a proponent of claw style holsters for micro people like myself, I knew I had to get my hands on the Scorpion to give it a good test run. 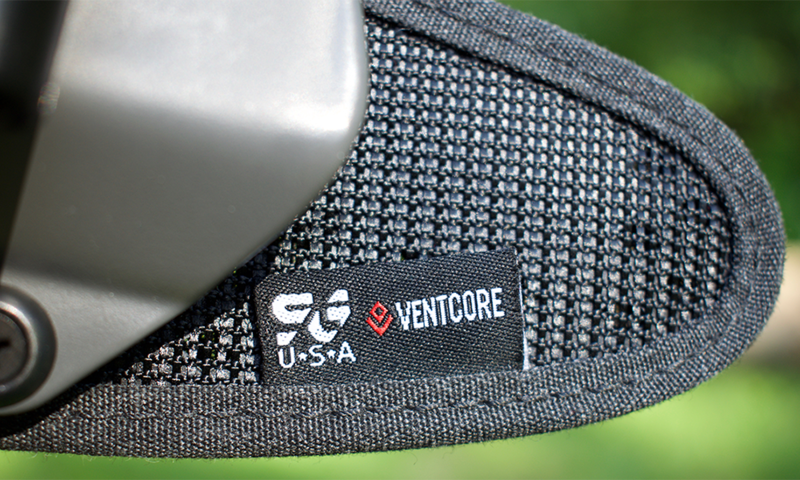 Falling under SGUSA’s Ventcore lineup, the Scorpion offers the same ventilated backing that made SGUSA’s first series of Ventcore holsters popular among carry consumers. The breathable fabric with laser-cut ports increases airflow while also adding a comfortable layer of padding between holster and user. Mounted onto the Ventcore backing by sturdy, stainless steel fasteners is a Kydex shell. This ain’t your mama’s kydex holster though. The Scorpion takes its design a step further by integrating a claw into the overall design. This claw is a natural extension of the holster that helps concealed carriers achieve truly concealed form with no printing while carrying in the appendix position. More on that in a minute. The Scorpion is packed full of extras that take it to the next level. With options for right or left handed orientation in addition to adjustments for threaded barrels, suppressor sights and RMR cuts, SGUSA has ensured that its customers can meet all their needs within one holster. For gun owners who want more than just standard black, the company also features a bevy of 18 colors/patterns from which to choose. Rounding out its design is a thick, plastic, single belt clip for securing the holster to the belt. Now, for the downside. The holster doesn’t come cheap. The base model with no upgrades or fancy colors comes in at $84. Patterns and a snazzier look costs extra, tacking on $10 to $15 more in price. While $84 is not unheard of for a good solid holster, consumers used to packing on a $25 or $30 rig may have issues stomaching the higher priced Scorpion. Having owned a Ventcore IWB for four o’clock hip carry, I was anxious to try the new Scorpion AIWB when SGUSA first dropped hints about it on social media. Migrating to AIWB carry almost two years ago, it’s been my preferred mode of toting my Glock 19 around and I am always excited by new holster additions into this burgeoning market. While I adore the tactical advantages of AIWB, the largest issue I face carrying in this position is my size. As a micro warrior, aka a petite shooter, I don’t have as much abdominal real estate by which to conceal my gun. Not content packing a single stack, I also have the added challenge of concealing a Glock 19 — no small feat. With little room to mask a protruding G19, I must be selective in the holster I choose for concealed carry. 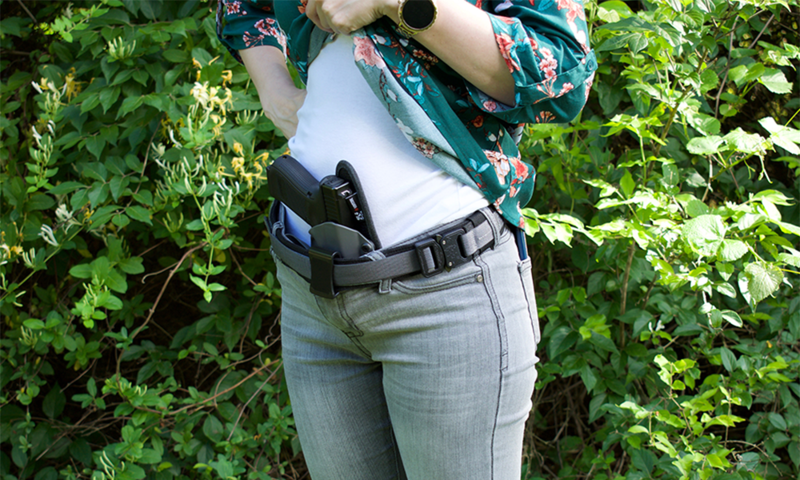 In my experience, wedges or claw holster design provide a significant advantage when concealing, especially for those of us on the smaller side. SGUSA very smartly chose to add a claw to its latest AIWB and, I have to say, they engineered it well. The Scorpion’s claw, once nestled into my jeans, pushes against the fabric of my pants, in turn, angling the muzzle of the gun out. This gentle tip forward of the muzzle has the added effect of drawing the grip of the gun inwards towards my abdomen. The result is the G19 effortless melting into my lower stomach/hip area. In the course of testing this holster, which quickly became one of my favorite AIWB holsters, I found I was able to wear my normal clothes with no major alterations needed to accommodate the Scorpion and G19. 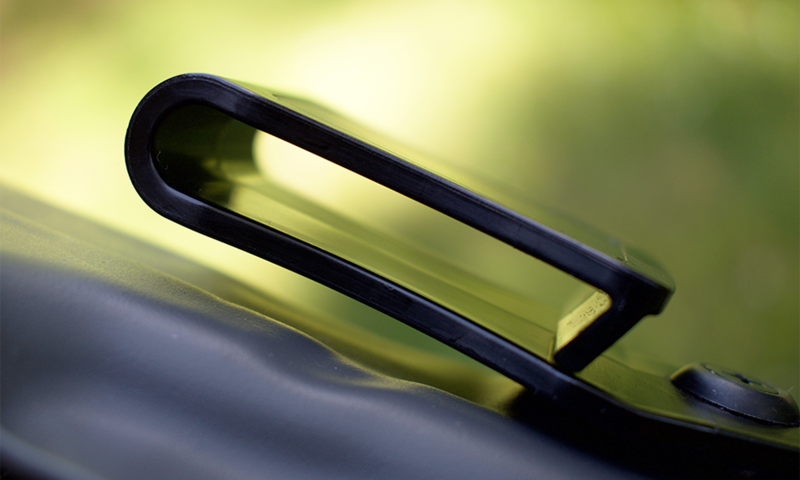 In addition, the belt clip proved to be a secure mounting point. Jumping off playground equipment, walking the dog and even just sitting and writing articles, the Scorpion stayed in place refusing to budge from its place on my belt. 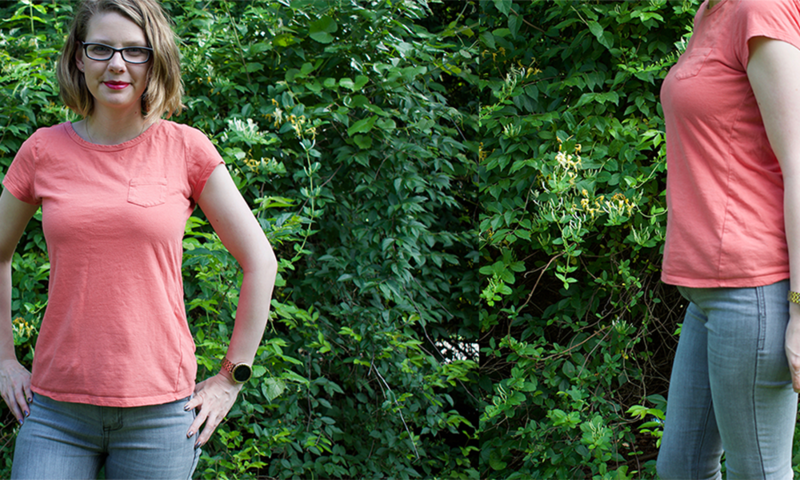 While the holster allowed me to sport regular tees and blouses with no major modifications required, it’s no Merlin and there’s no magic here. 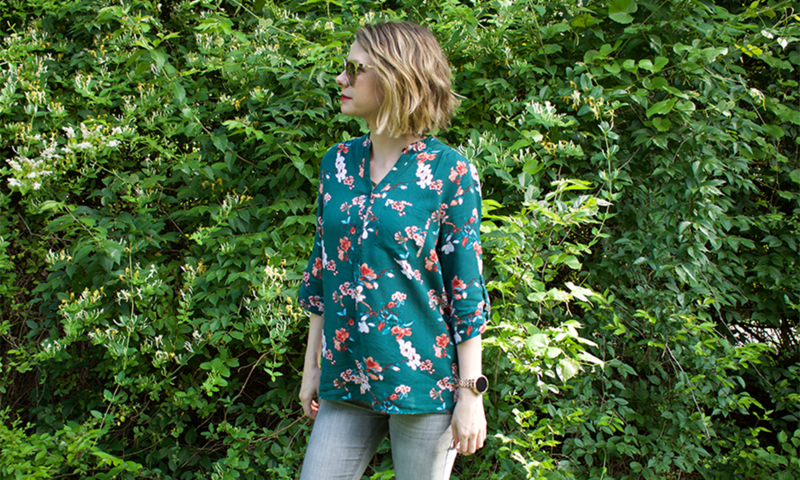 Let’s face it, I am still sporting a Glock 19 on a 105-pound frame, so super tight t-shirts or body hugging blouses are not viable and will cause printing; however, for my wardrobe which features flowing blouses and looser t-shirts, the Scorpion does just fine. Appendix carry has gotten a bad rap for years as being negligent and unsafe. Despite evidence to the contrary, anytime an AIWB holster comes to play there will be obvious naysayers who will question the safety of these style holsters. Let’s be clear, ANY holster has the potential for failure. That’s why we as gun owners must be diligent in routinely checking gear and adhering to the rules of gun safety. That being said there are plenty of questionable AIWB options on the market, but I’m happy to say the Scorpion does not fall into the unsafe category. 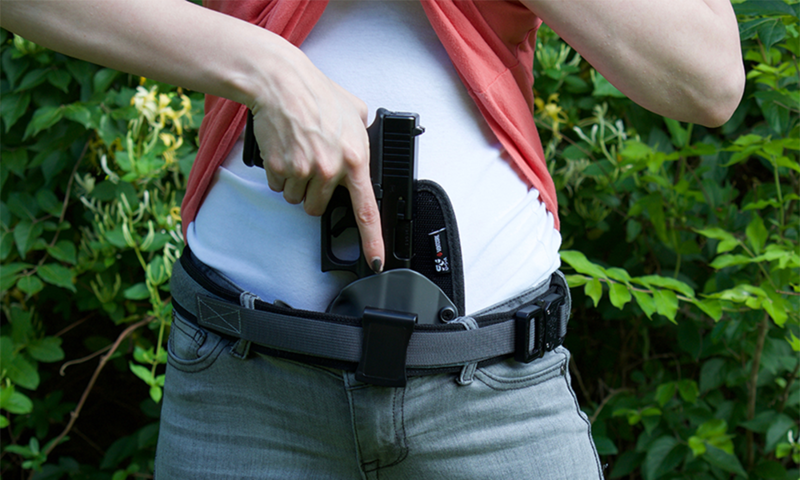 The holster has been engineered by SGUSA with safety in mind. The rig features a Kydex design which is molded and rigid. 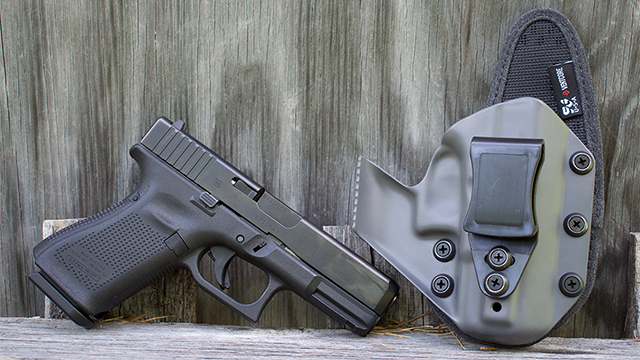 Unlike materials like fabric and leather, which can wear and erode, folding into the trigger guard of a gun during carry, the Kydex material remains rigid day in and day out. The Scorpion also caters to the trigger, completely covering it so no unauthorized fingers or foreign objects can work their way into the trigger to produce a bang. Despite completely covering the trigger area, the holster still allows wearers to achieve a firing grip on the gun during the draw. Boasting plenty of gun models for the taking, the Scorpion AIWB holster by SGUSA is a solid choice for consumers interested in jumping into the appendix carry realm. Its molded, rigid frame, integrated claw and breathability of the Ventcore backing makes it not only a comfortable platform but a concealable one as well. While it errs on the pricier side, the SGUSA is worth every penny with its claw design and functionality.